Among the many threats to wildlife one of the most insidious is human pollution. The external and internal injuries sustained by wildlife going about their daily feeding routines are unimaginable and certainly under reported with most cases not documented. Wildlife rescuers on the Mornington Peninsula were confronted with an upsetting case this month. Local rescuer, Brenda Marmion, of Crystal Ocean Wildlife Shelter, was called out to an injured bird when it flew into the side of a building in the seaside town of Rosebud. The bird was later brought to the vet and later rehabbed. Rescuers found a very sick juvenile pelican that was extremely weak with only minor abrasions. 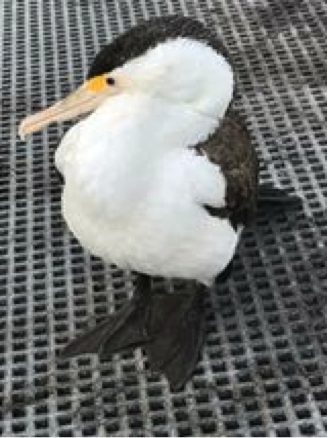 It soon became apparent the bird was starving, most likely malnourished, and as a result very compromised; the pelican was infested with lice and internal worms. 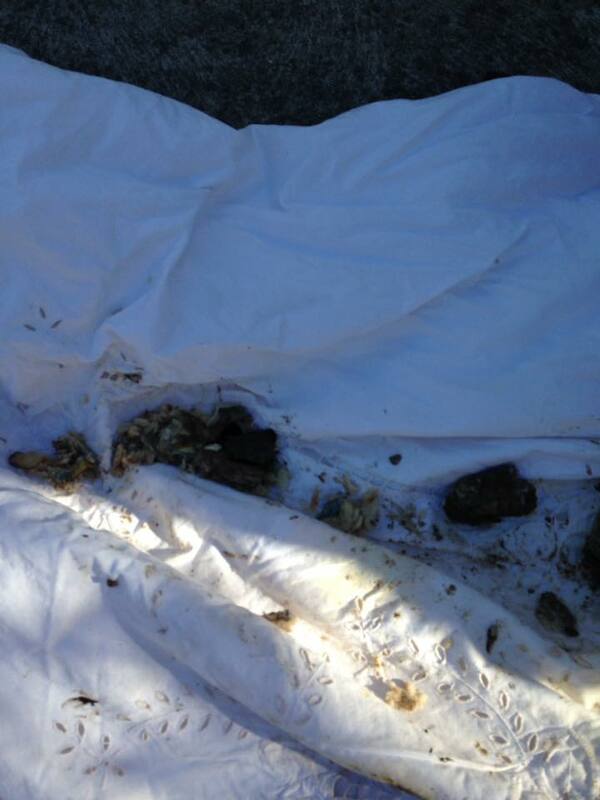 It began to vomit and what the rescuers found was truly shocking! 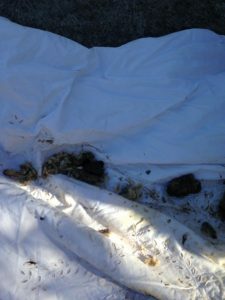 They first thought the regurgitated matter was remnants of fish but upon closer inspection they found the items were soiled sanitary napkins and later a couple of used tampons were also expelled. To think that this poor bird, so short of food, had resorted to eating this kind of rubbish is totally heartbreaking. It is very hard to pinpoint exactly where the birds are finding this rubbish. Locals report that pelicans are regular visitors to the rubbish tip in Rye, but some have suggested boats on the bay without ‘waste receivers’ may be the cause of the pollution and interestingly there have been reports of dead fish washed up on Safety Beach, possibly caused by outage from a drain. Apparently, the Environment Protection Authority is investigating the dead fish, but we haven’t been able to confirm the source of the Pelican rubbish. None the less, it is human waste that is causing a huge and sickening problem for wildlife. It is easy to flush items down the toilet or put them out of our minds when our rubbish bins are collected but we rarely hear about the real impacts our waste is having. Another case was reported on the ‘Snake Catchers Victoria’ Facebook page in July. 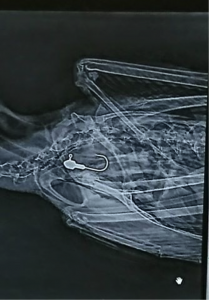 A Little Pied Cormorant was called in to rescuer Barry Goldsmith having swallowed a hook on the Mornington Pier. 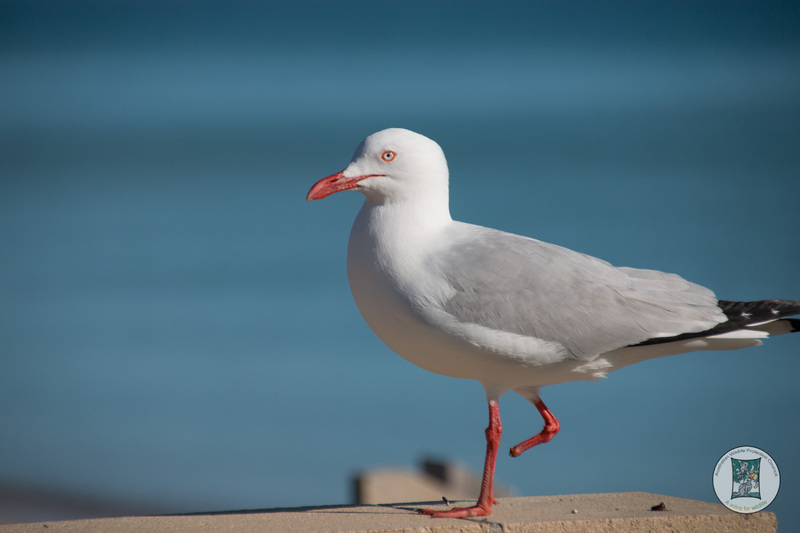 It was the second bird in a week found to have ingested hook and/or line on the Pier, the other a Silver gull with a hook and line through it’s upper beak. 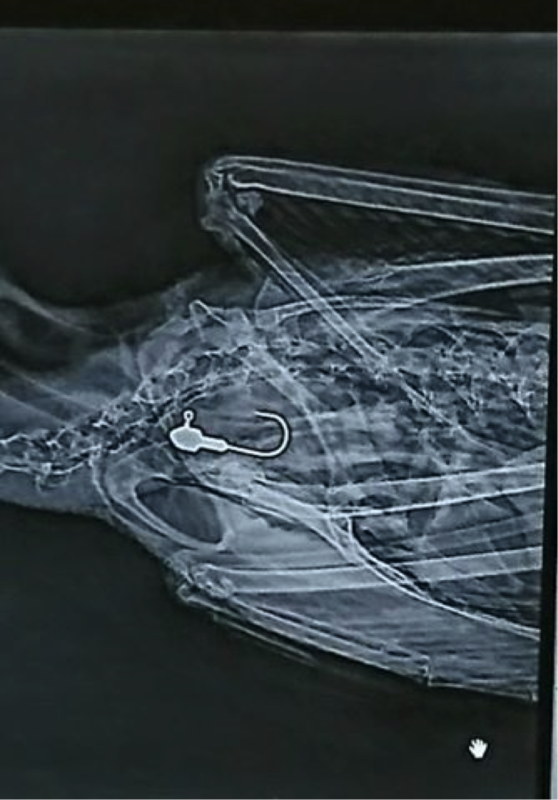 Whilst Cormorants can dive and grab bait directly off a fishing line, it also happens that line snag hooks are lost, but avoidably lots of fishing rubbish is simply left on the pier for the birds to pick up. Bait bags are also commonly littered. Fishing is a very popular past time however it must be noted the damage that it causes wildlife whether ‘accidentally’ or by irresponsible fishing folk. The Little Cormorant died as a result of its injuries and thousands of sea birds suffer the same fate every year from ingesting fishing rubbish and many more loose feet and legs from fishing line entanglements. 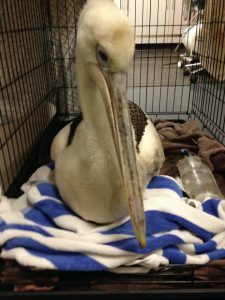 The Rosebud Pelican is expected to make a full recovery. After being treated by Peninsula Vet Care bird specialist Dr. Stacey Gelis, hydrated with a drip over night, wormed and deloused and given a course of antibiotics, it is being rehabbed by WHOMP volunteer carer Klarissa Garnaut. It is gobbling down about 12 whole fish a day, much better than rubbish! Once it has recovered and maintains a diet of about 20 fish per day it will be ready for release. We are all responsible for our rubbish; we can all let our local authorities know that we are concerned about the impact our rubbish has on the environment. Pelicans that are hanging around people, coming too close to shore or being harassed by dogs on off leash beaches are always in need of a rescue, so please call for wildlife help if you come across one. Nationwide numbers are very easy to find online, in the phone book or from a telephone operator. If you can stay with the bird and remain between it and the water, rescuers can more easily catch it. Birds with entanglements should also be reported for rescue.